A picture from the archives: This was taken last year when I was visiting San Francisco. 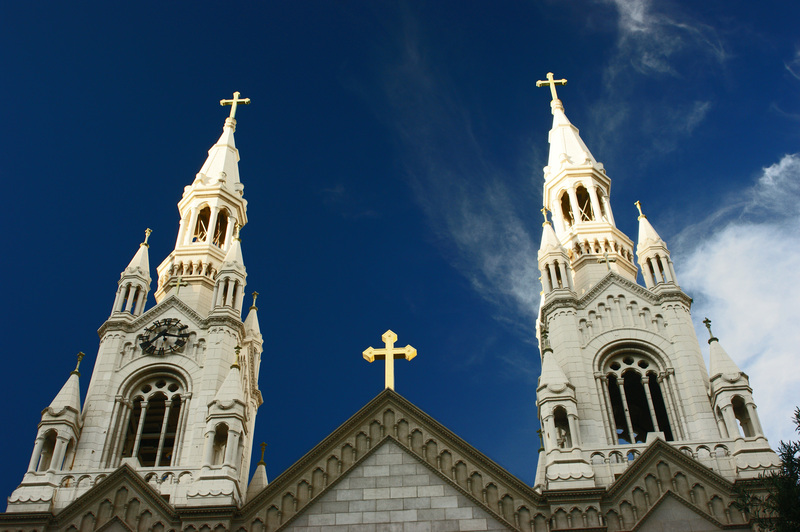 Sts Peter & Paul church is the setting where Joe DiMaggio & Marilyn Monroe had their wedding pictures taken. They however, weren’t allowed to be married inside the church because Marilyn had beem divorced & the church wouldn’t allow them to marry at the church. Regardless, it is a very picturesque location for wedding pictures or for this tourist. 01 Feb	This entry was published on February 1, 2012 at 10:28 pm and is filed under Uncategorized. Bookmark the permalink. Follow any comments here with the RSS feed for this post.